As of 5:30 p.m. Wednesday, speed cameras are dead in New York City. Well, not dead exactly, but the city is no longer authorized to hand out $50 tickets to motorists caught by nearly all of the cameras. For drivers who thought speed cameras were a flagrant violation of due process, it’s great news. For those who claimed they helped reduce crashes and traffic deaths—and the city itself did—not so much. But the reason they died actually has nothing to do with the cameras themselves. Here’s how this went down. Until this week speed cameras operated in 140 school zones across the five boroughs (and issues with constitutionality aside, I think if you’re gonna put these anywhere, school zones are the best place for them.) Cameras in 20 of those school zones will keep ticketing until August under a different law, but the other 120 will not. 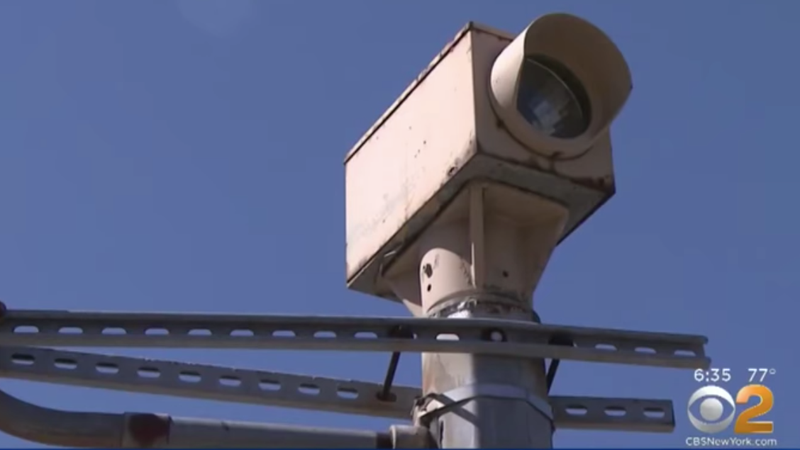 Speed cameras (and red light cameras) have plenty of critics, who argue that they automatically render a motorist guilty without a trial or a hearing. At least when a cop tickets you, they argue, you can question that cop and their evidence in court, as is your right as an American. And let’s also account for the fact that speed cameras elsewhere have been a pure money grab. But believe it or not, while speed cameras are controversial, in New York they largely haven’t been. New York Gov. Andrew Cuomo, New York City Mayor Bill de Blasio, Republicans and Democrats in the state legislature, the New York City Council, and 88 percent of New Yorkers supported the use of speed cameras in the city. The traffic issues that happen here are often radically different from the rest of the country. Further, the cameras only gave out tickets on school days and during school hours or during school activities—which safety experts say is actually a bad thing since most accidents and injuries occur outside that time. If there’s any quibble about the speed cameras here, it’s that they operated in secrecy, with the government refusing to disclose their locations, prompting an investigation by public radio station WNYC. Proponents argue that when used transparently and appropriately targeted, speed cameras can be a tool for safety, especially in urban areas where the difference between 30 mph and 20 mph can be life-saving. You can see both sides to the controversy here. But the reason the speed cameras got killed is an incredibly stupid one. As the New York Daily News reports, Democratic State Senator Simcha Felder, who represents parts of Brooklyn and Queens, would not let a bill re-authorizing the cameras get through the Cities committee without help with legislation that would put an armed guard in every New York City school. Still, Felder is just one of 63 senators, right? And don’t speed cameras have support from both sides of the aisle? They do, but state Senate Republicans have so far allowed Felder to stop the re-authorization of the cameras, possibly because he caucuses with them, giving them the slimmest of majorities in the senate and enormous power in Albany. Without Felder, Democrats would control the senate. With Felder, Republicans do. It’s a bizarre way for speed cameras to die, especially with how they were used in New York City—in school zones, and with evidence that they improved safety.